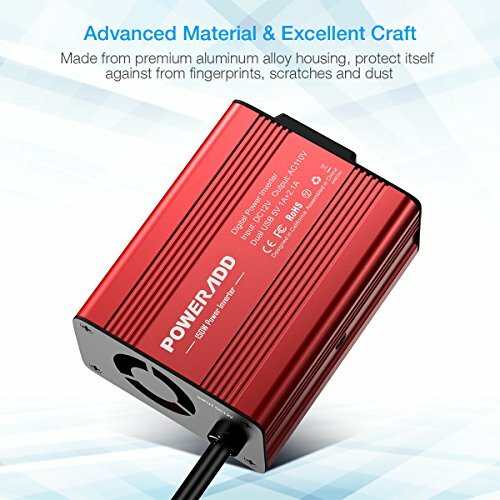 Poweradd is committed to produce electronic applications, offers quality and affordable products to all over the world. Multiple protection with short-circuit , low-voltage, over-charge,over-voltage, over-load,over-temperature protection,built-in fuse. 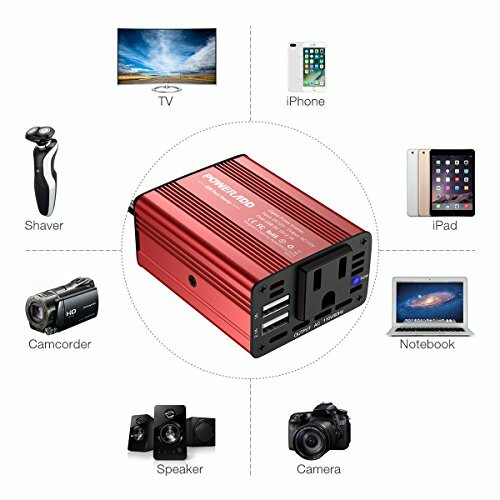 Poweradd power inverter is used for camping, outdoors, vacations, road trips, remote job sites, and even charging household items. 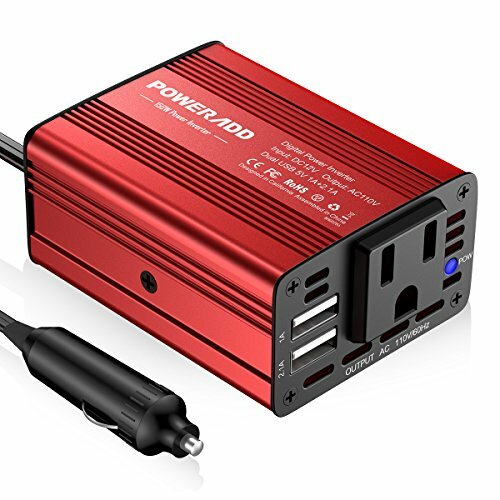 Dual USB ports effortlessly charge two devices (including any smart phones and tablets) at once while the outlets can power a wide range of power-hungry items on the road. Please kindly add this to your travel emergency kit for maximum utility while charging. 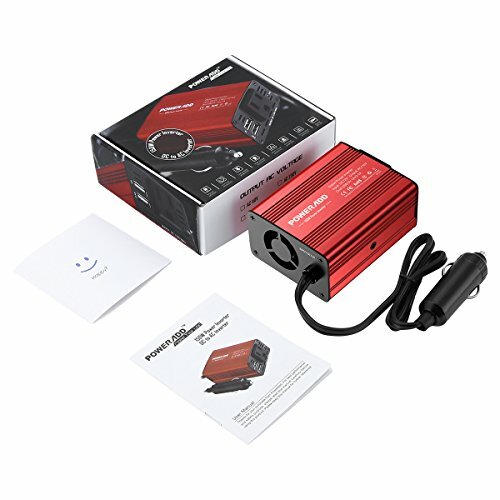 150W Car Power Inverter - Built-in 2 USB ports and one AC outlet. 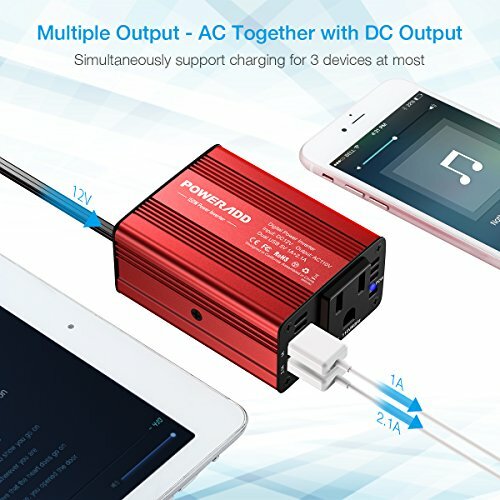 Dual USB ports can charge most phones and tablets simultaneously (Total 5V/3.1A), while the grounded AC outlet is great for charging laptop, breast pump, nebulizer, game console, kindle, TV, DVD players, lights, iPad, and other electronic devices. Ultra Compact and Lightweight: Half of iPhone-sized design ideal for use on vacations, work trips, and camping. 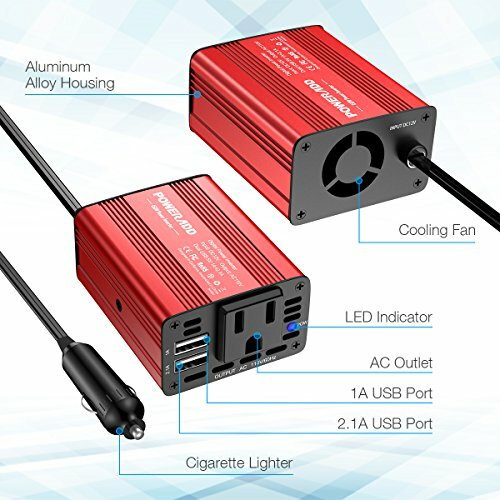 16-inch cigarette lighter plug makes the power inverter can be plugged into almost any vehicle. Durable metal housing provides advanced protection from drops and bumps. Integrated cooling fan helps reduce heat and prevents shortages. 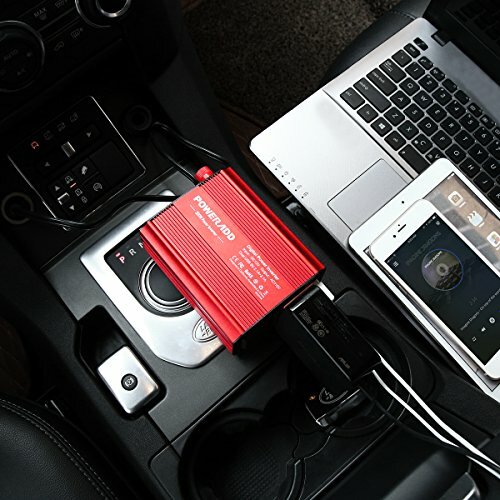 Multi-Protection: built-in 40 amps fuse to protect your device. 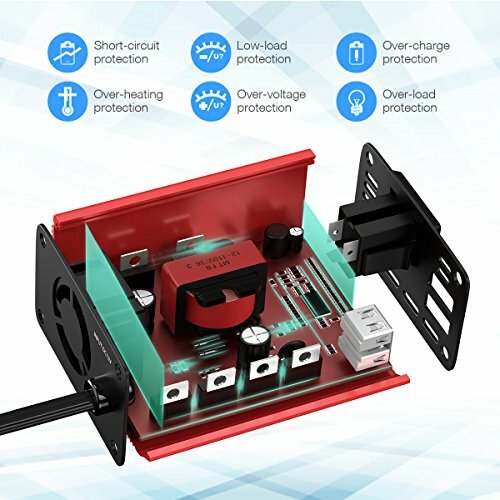 Safe charging design provides protection against, overheating, under and over voltage charging, short circuiting, overloads, and overcharging. 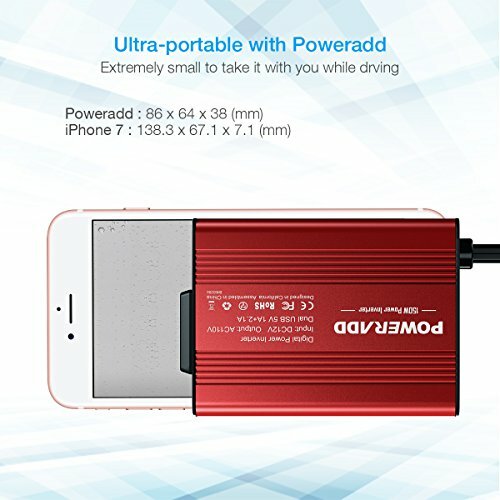 Industry-leading Warranty: Poweradd offers 24-month limited product warranty and 24h*7d customer service for all Poweradd products to achieve 100% customer satisfaction.